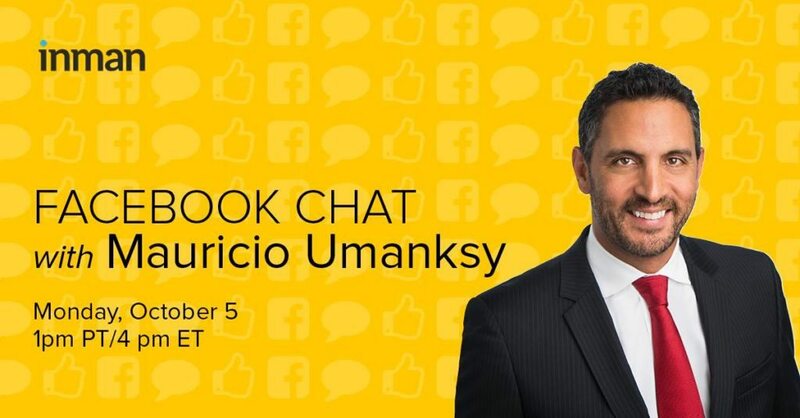 Today at 1 p.m. PDT/4 p.m. EDT, we’ll be welcoming the second guest of our Facebook chat series, Mauricio Umansky. Mauricio is no stranger to the Inman family, and he’ll be sharing his knowledge and insights with us on Oct. 21–22 at Luxury Connect. For one hour, you can ask Mauricio any question you like, whether it’s about his uber-successful business, The Agency, his experience on “Real Housewives of Beverly Hills” or even what his favorite sport is. Just add your question to this post, and visit the Inman News Facebook page this afternoon to see his answers.